Next generation user facing applications are expected to include a built-in recommendations engine that tells the user what they’re likely to “like,” “purchase” or “read” next. 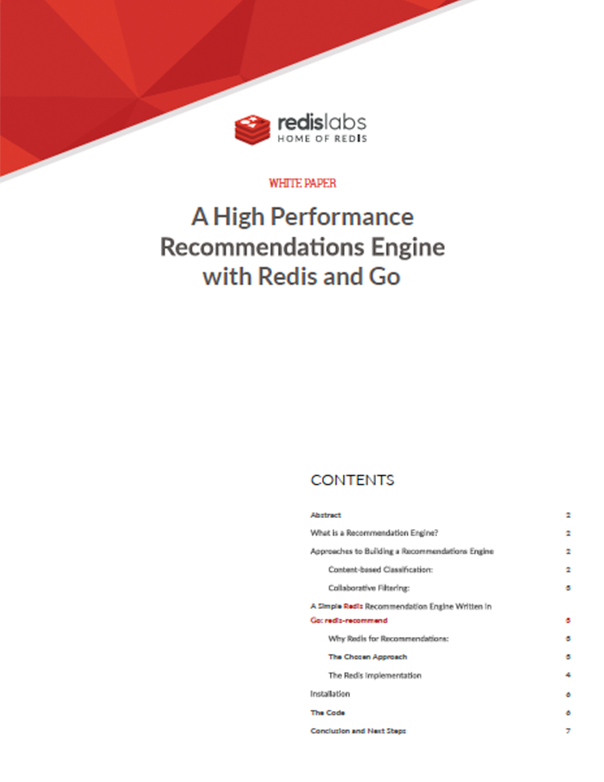 Redis, the popular open source, in-memory database known for its in-database analytic capability, and Go, an open source programming language that makes it easy to build reliable and efficient software, combine to deliver a simple, high performance recommendation engine , with minimal complexity that doesn’t require many system resources. This paper outlines the algorithm and code necessary to implement a collaborative filtering algorithm that generates recommendations with simplicity and high performance.